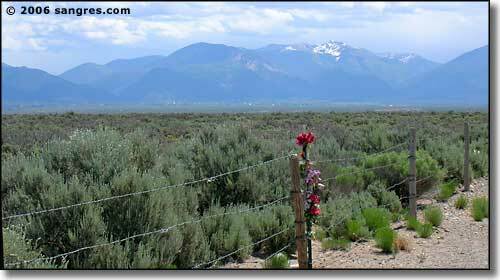 At 13,161 feet, Wheeler Peak is the highest mountain in New Mexico. Round trip hike from the usual trailhead makes this a 16+ mile journey. Along the way you cross a couple of points above 13,000' but none really qualifies as a separate peak, it just makes the journey a bit harder with the up-and-down. 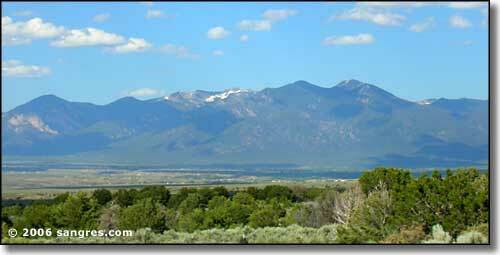 Wheeler Peak itself is, for the most part, not visible from anywhere but Taos Ski Valley. All of these photos are from down below and show other peaks in the Wheeler Peak complex but not Wheeler itself. I guess I'm just going to have to go and climb it myself to get the real thing.